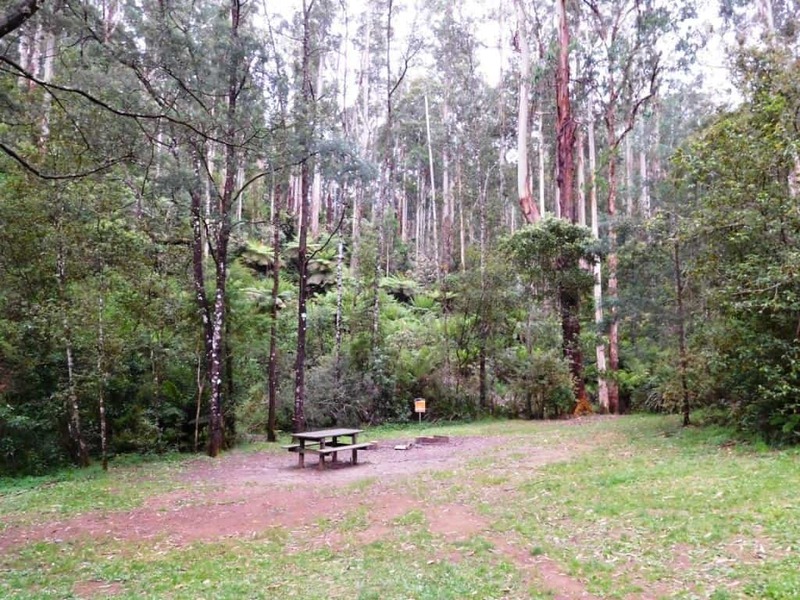 Now (also) called East Tyers Campground I see. This is the first major stop after you leave Walhalla (12.5km away), some of them fairly steep. 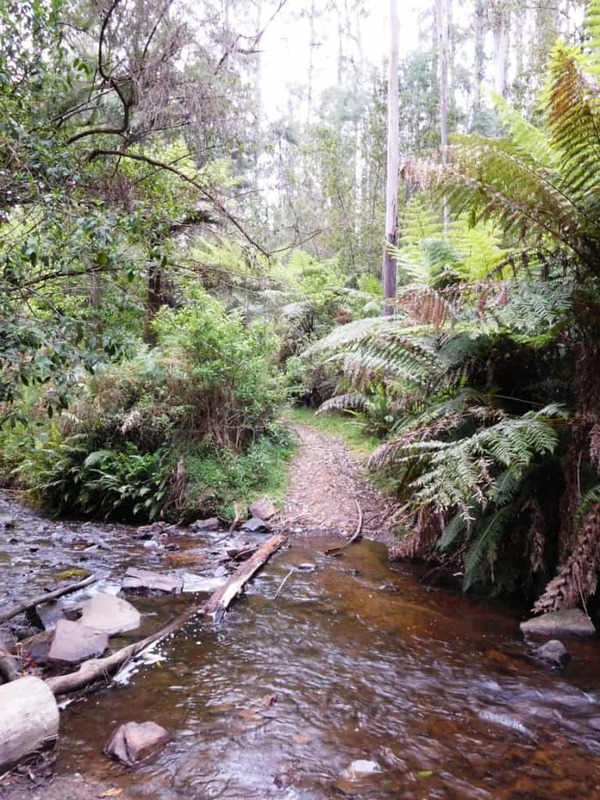 As you can see it is where the Alpine Walking Track crosses the East Tyers River. Campsites, Water, Toilet available. You could have dropped by Rawson on the way here for supplies. It is also where you would turn off for the Winter Route to avoid snow/cold dangers on the Baw Baw Plateau. 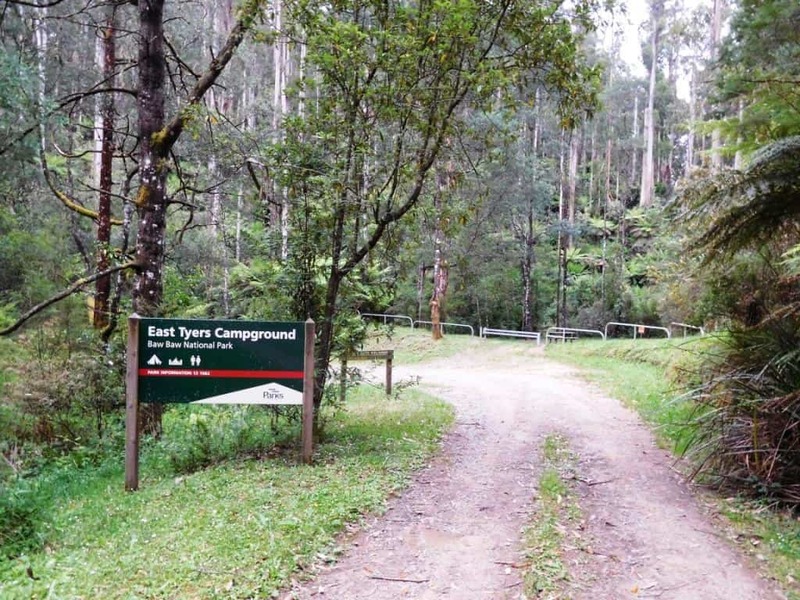 Several possible routes allow you to walk to Caringal (Tyers Junction) or Western Tyers. We chose Finns Track today, a very pleasant quiet bush track on a good grade through mostly peppermint gums. I have not yet checked out the East Tyers Walking Track. The Caringal caretaker ‘thought’ it was open still, but he was less well-informed about the Western Tyers Walking Track (which we found is NOT). 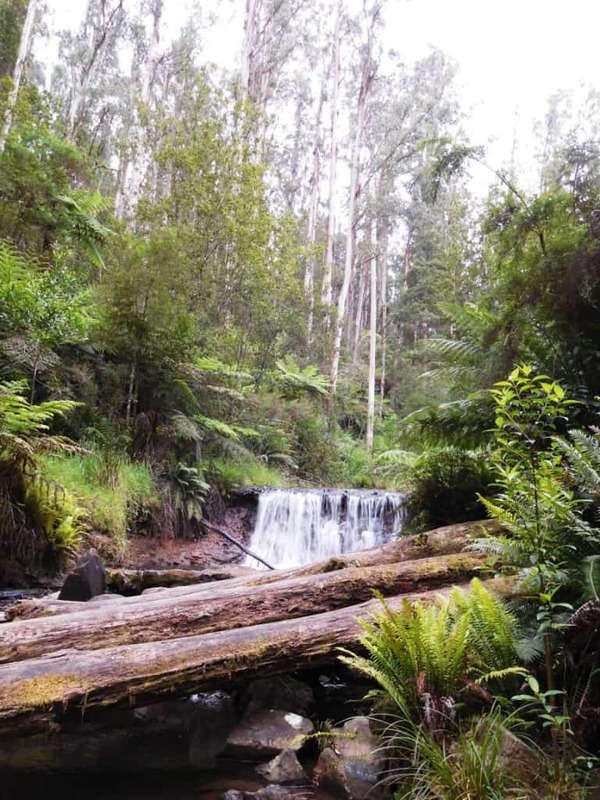 It would descend along the river through beautiful fern gullies and mountain ash. It certainly exists at Caringal, but whether it still goes all the way to Monettes is not yet known. 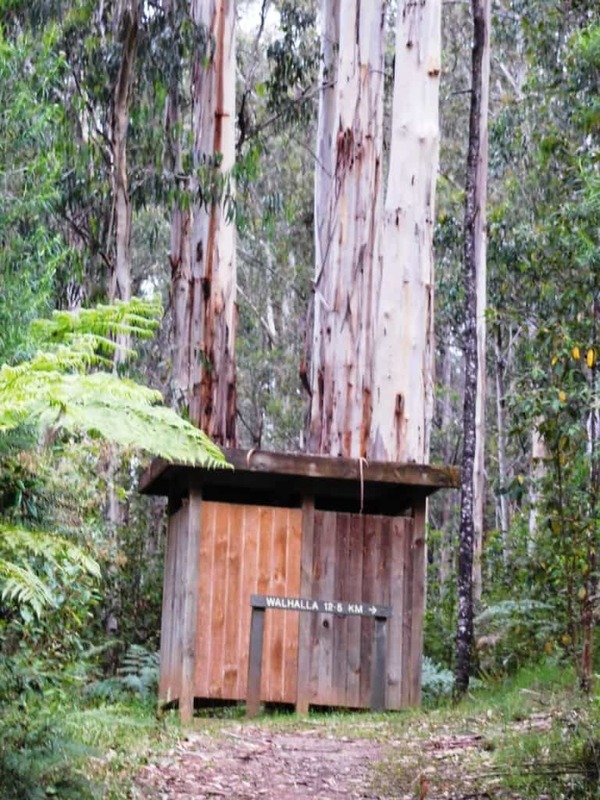 At Caringal Scout Camp there is camping for $12/night (with hot showers! And some other facilities eg Mess Hut, toilets, phone etc). It is a very beautiful spot amid giant mountain ash where the two branches of the Tyers River join. Even a picnic table in a sunny clearing. Lots of nice flat sunny spots to pitch a tent. Mountain Ash grow quickly. This one easily 2-2.5 metres diameter at the base is likely younger than me! Pristine water from the East Tyers River.